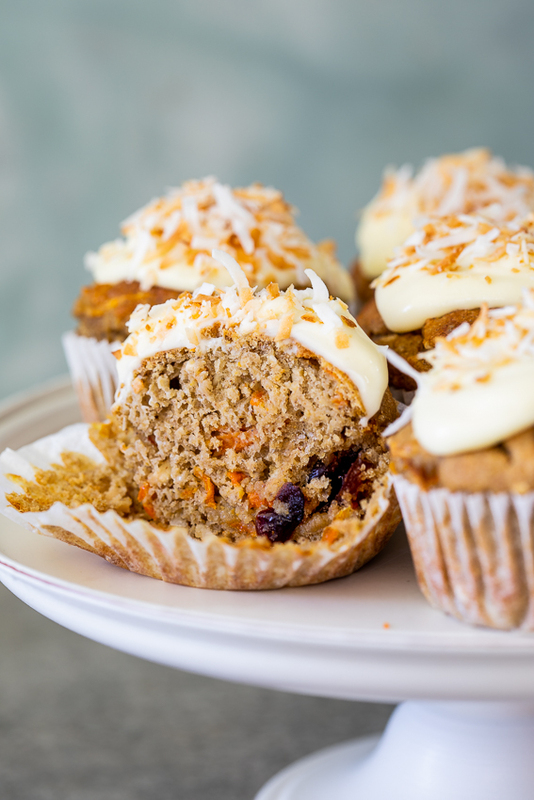 These easy healthy carrot muffins are made with oatmeal, coconut and honey to give you a healthy start to your day and are the best guilt-free Easter snack. 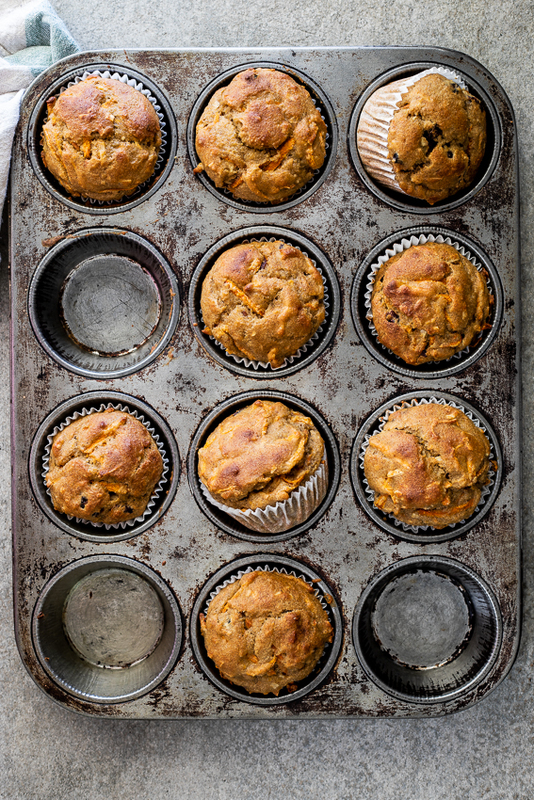 We have been loving these healthy carrot muffins since I developed the recipe earlier this year. 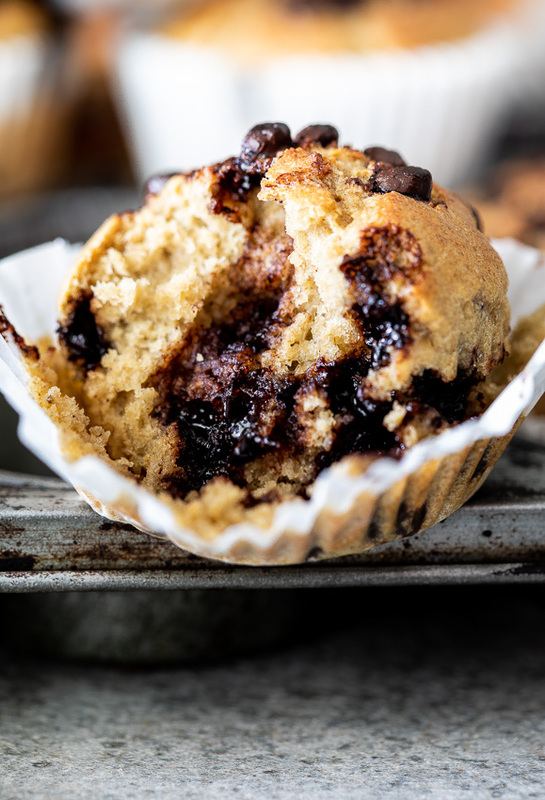 I make them regularly now because the kids can’t get enough and I’m all too happy if they want to grab one for breakfast or a snack because they are full of fiber, fruit and vegetables. Any parent’s dream! I don’t always top them with the easy cream cheese topping but the icing definitely gives these muffins a more carrot cake-like quality. In fact, when I served these to a friend, she asked where I got the delicious carrot cupcake recipe from. So not only are these so easy to make and healthy, they actually taste like carrot cake and feel like a real treat. Winning all around! Make oat flour by blending rolled oats until fine then mix with spices, salt and baking powder. Mash/blend bananas, eggs, oil, milk and honey then add to the dry ingredients. Mix and then add the carrots, cranberries/raisins and coconut. Spoon into cupcake liners and bake until a skewer inserted comes out clean. If you choose to add the icing, mix icing/powdered sugar and cream cheese until smooth and spread onto the muffins. 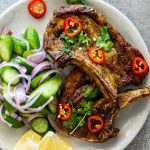 Top with toasted coconut and serve. The oil acts as a great source of moisture in the cake so I wouldn’t suggest it. You can use any oil for this cake so if you’re looking for something healthier, coconut, avocado or olive oil are all good options. 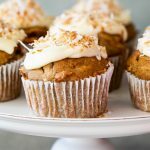 How long does carrot cake/muffins last? These muffins will last 1-2 days if kept at room temperature and 4-5 days if kept covered in the fridge and this is the recommended way of storing them if you’re using the cream cheese icing. Pre-heat the oven to 180ºC/350ºF and line a 12-hole muffin pan with paper liners. Lightly spray the liners with non-stick cooking spray as the muffin batter can be sticky and stick to the liners. To make the batter, blend the oats in a strong food processor/blender until oats are the consistency of flour. Transfer to a mixing bowl and mix in the baking powder, salt and spices. In a separate bowl, mash the bananas and mix in the oil, eggs, milk, vanilla and honey. 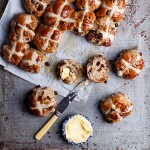 Pour into the dry ingredients and mix until just combined then fold in the carrots, raisins/cranberries and coconut. Spoon the batter into the prepared liners and place in the oven. Bake for 20-25 minutes until a skewer inserted comes out clean. Remove from the oven and allow to cool completely. If making the icing, beat together the icing sugar and cream cheese until smooth. 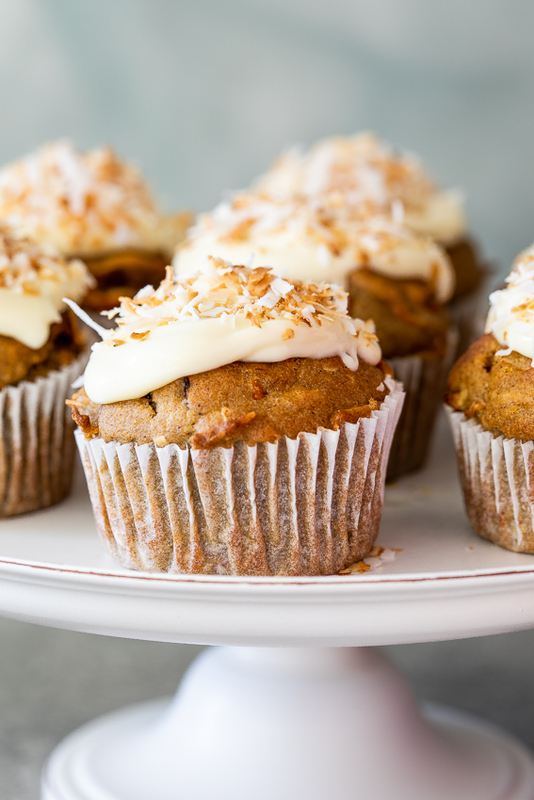 Spread the icing onto the muffins and top with toasted coconut.